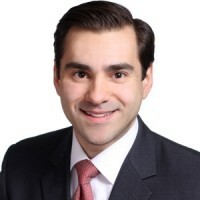 Alex Jovanovic is an investment manager with Trillium Asset Management. His primary responsibilities include working with individuals, families, and institutions to help them meet their financial goals. He also serves on the fixed income team, where he helps with portfolio structure, implementation, and monitoring. He joined Trillium as an investment manager in 2013. Prior to joining Trillium, he spent nearly a decade working at Boston Common Asset Management where he was primarily responsible for managing client relationships and coordinating the firm’s business development efforts. He received his BA from Tufts University with a double major in International Relations and Economics. Alex is a Certified Financial Planner™ professional. He currently also serves on the Advisory Council of Community Cooks, a Somerville based organization mobilizing individuals to offer home prepared meals to vulnerable neighbors through human service agencies. Alex served on the Leadership Team of BASIC (then known as the Boston Area Sustainable Investment Consortium) from 2009 – 2011, during its founding years.